Dare to dream about a breathtakingly beautiful destination wedding. 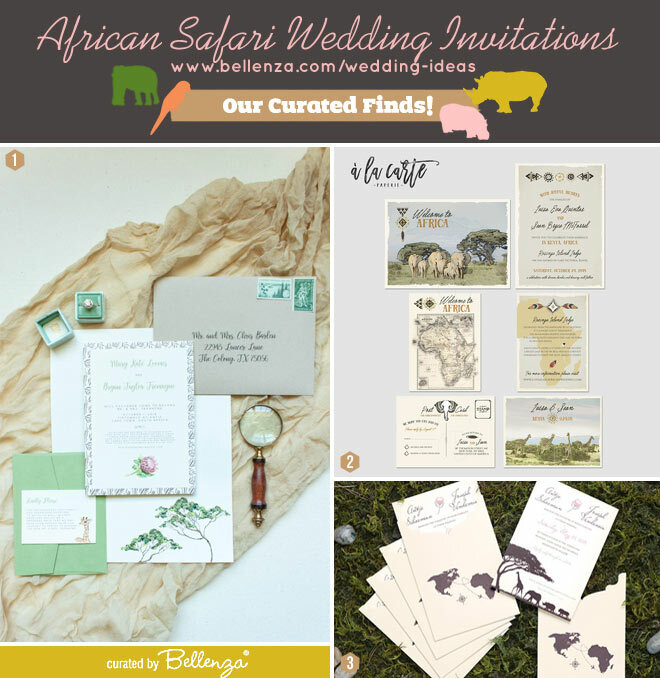 Consider an African Safari Wedding! Dramatic vistas of both deserts and jungles. Tours to view wildlife in their natural habitat. Amazing African cuisine and wines. 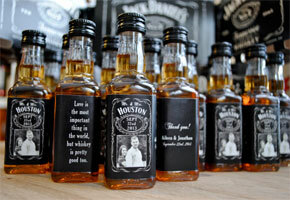 All these and more will be the experience of a lifetime for you and your guests. But first things first—the wedding invites! Quite an array for you to choose from. All showcasing the views and hues of the great African outdoors, many in a vintage-rustic style. 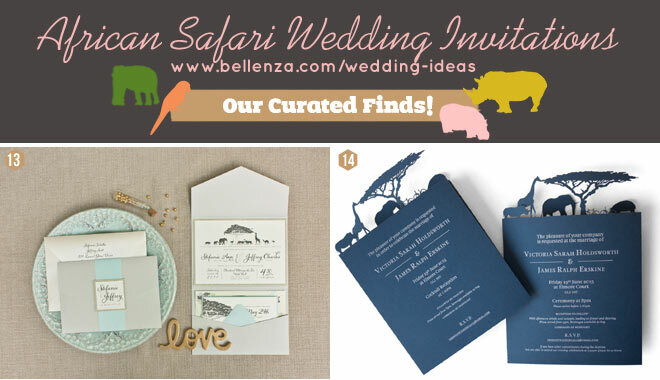 A fittingly fabulous introduction to your unforgettable African Safari destination wedding! Muted colors, location maps, spreading trees, African wildlife—all presented in rustic yet sophisticated style. 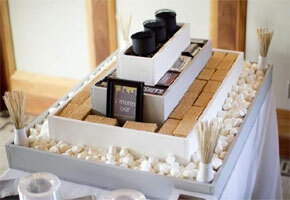 That’s what this first trio of invitation suites offers. 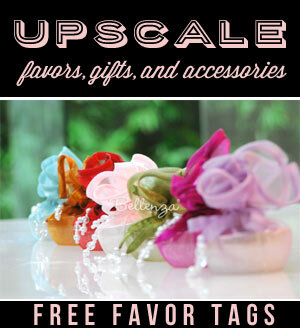 Warmer tones of red, orange, and pink; florals and foliage; some boho graphics; and African animals again. 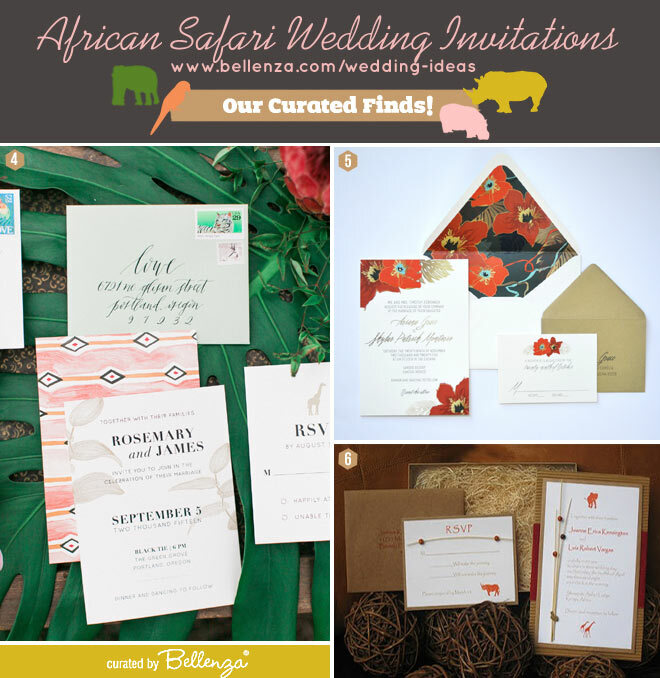 A different choice of looks for your African Safari Wedding invites. 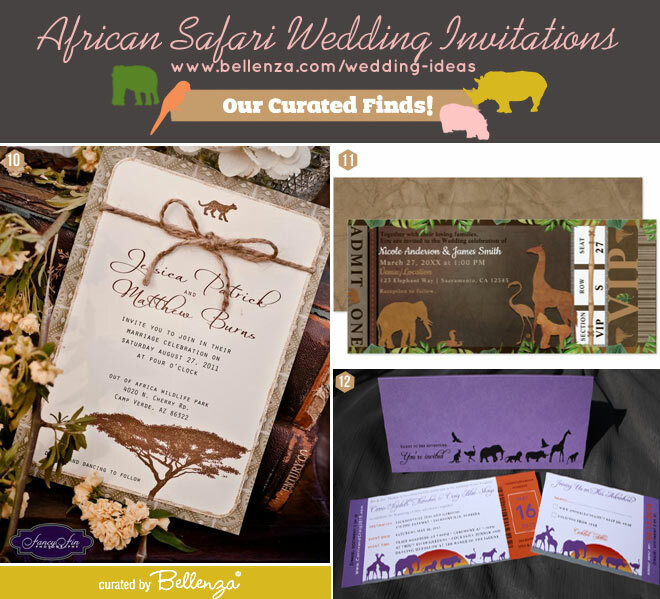 The travel aspect of an African Safari Wedding are conveyed via passport, booklet or packet style invitations. Another approach to consider for this destination wedding of your dreams! Here are some special design touches to play up the unique wedding location: hand painting, glitter, modern graphics in a self-printing option, and die-cut “ticket” invites! Finally, an unexpected color choice perhaps for an African setting, but so beautiful in blue. A choice of a nifty packet design to hold the loose cards of the suite, or an amazingly intricate laser-cut design (goodness, look at that detail!). 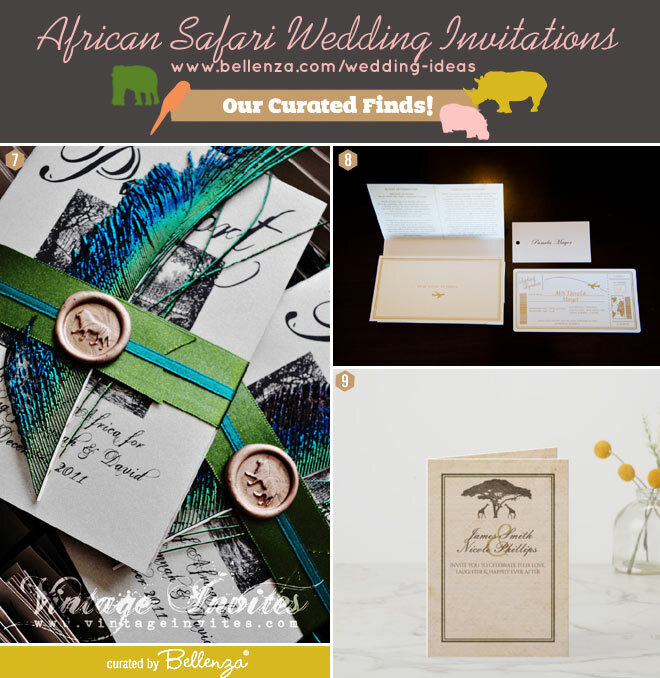 So looking forward to sharing the rest of our African Safari Wedding inspiration series with you!